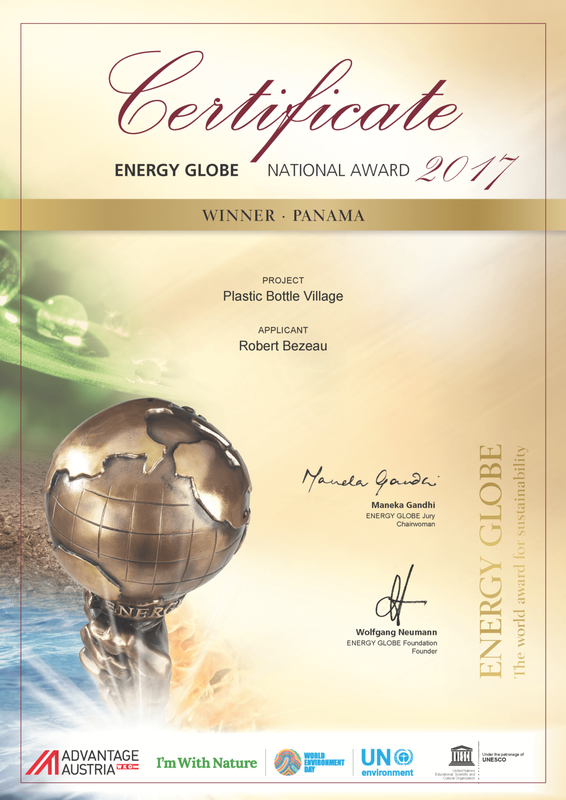 We at bocasdeltoro.com are pleased to bring you the exclusive news that Robert Bezeau, developer of Plastic Bottle Village was awarded the Environmental Excellence Award on Thursday October 26, 2017. 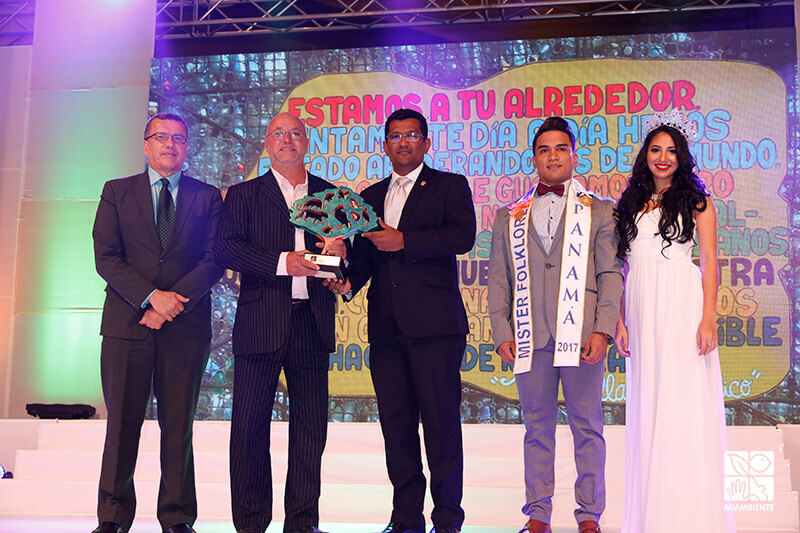 Robert was competing against some very big and well known corporations for the award and is one of the first foreigners to win the prize presented by MiAMBIENTE. Congratulations Robert on a well-deserved award! 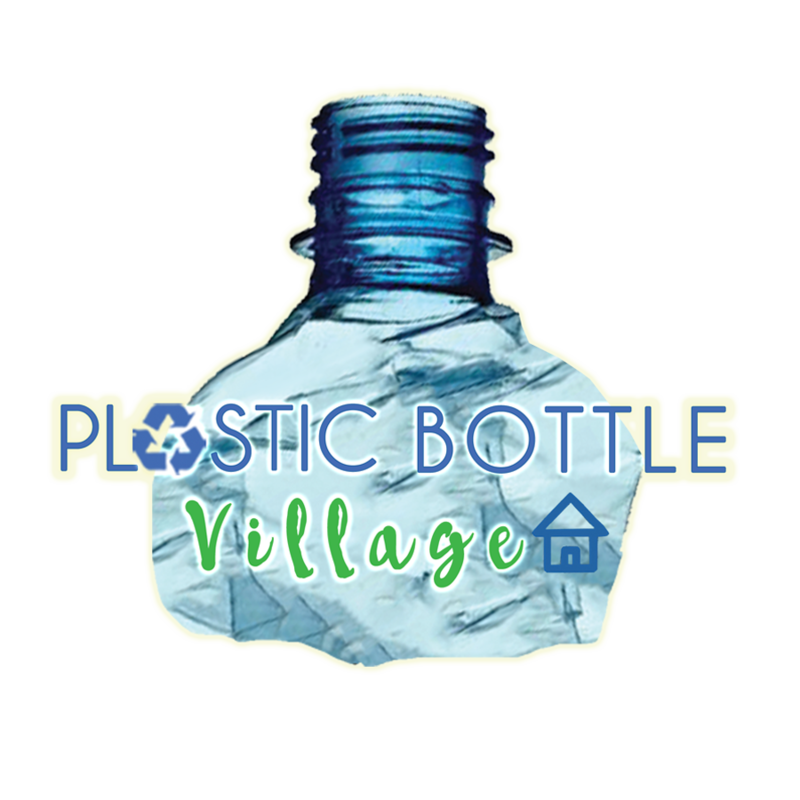 Visitors, while you are in Bocas del Toro, be sure to pick up your Carbon Footprint Stickers for a small contribution and help Robert help the archipelago and the entire planet. If you are interested in a tour of his development, made entirely of structures using the PET bottles, just ask anyone and they can point you in the right direction. Let’s all help Robert keep Bocas breathtaking.